The Abarth is the top-trim for the Fiat 500. Pity poor Fiat. This Italian automaker returned to the U.S. market in 2011 after a long absence, but soon found customer’s tastes had already begun to move away from cars to crossovers. Even with the introduction of a tiny 500X crossover a few years later, Fiat demand has never met expectations. Rumors that the brand would exit the domestic market have surfaced in recent years, casting a shadow over its long-term plans. Fiat, though, may not throw in the towel. Like the Chrysler brand, Fiat may find a niche and occupy the market from that corner. That niche currently involves turbo engines, which are now standard across the entire model line. Electric vehicles will someday become a factor as well. Going full-tilt turbo means that there is a difference between the power numbers of the standard models and the performance Abarth. That 25-hp boost is noteworthy, especially for a model of the 500’s stature. 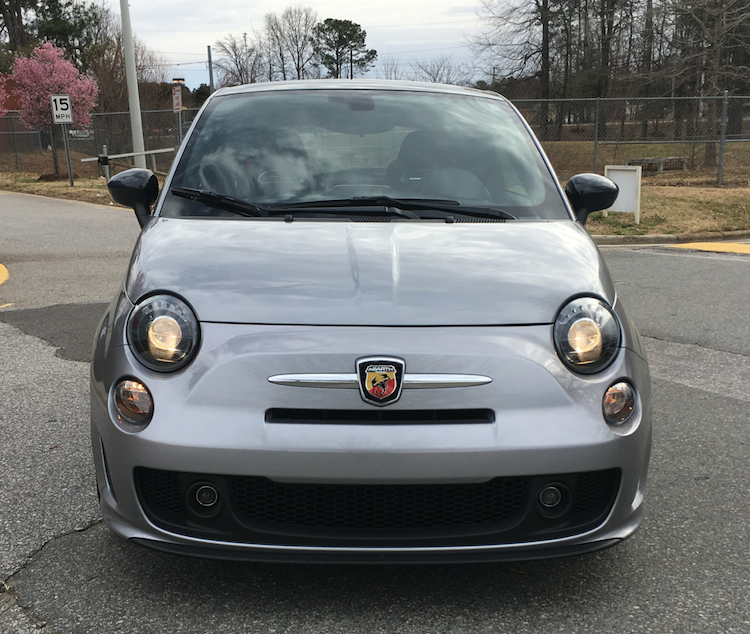 Now with our Fiat pleasantries firmly fixed in the rear-view mirror, here’s what’s especially noteworthy about the Fiat 500 Abarth. 1. More performance than expected. The 500 Abarth is quick, although its 0-60 mph time of approximately seven seconds may not inspire die-hard race enthusiasts. Our test model came with the automatic, so we were not able to enjoy the benefit of foot-pedal action to move this diminutive hatchback. Still, with one foot fixed to the gas pedal and the other tapping in anticipation nearby, we happily relished in the quick spooling turbo, which got the job done. The Abarth’s power likely surprised some other drivers too as its passing performance acquits this Fiat nicely. The bonus here is the active exhaust system — it burbles and burps, just like the big guys out there. Noisy does it! 2. Steering with ample weight. One thing this driver strongly dislikes about some cars is the light and disengaged steering. In these situations, the feeling is simply not there with nothing dialed in that stokes driving interest. Happily, the 500 Abarth is fully compliant (and capable) with steering that is generously weighted and connected. The real treat is on the same twisty backroads you might take with your favorite sports car. The Abarth, thanks to its small size and light weight, hangs the curves with ease and manages corners cleanly. This, despite a 64-to-36 front-to-rear weight distribution. 3. You can get a manual transmission. 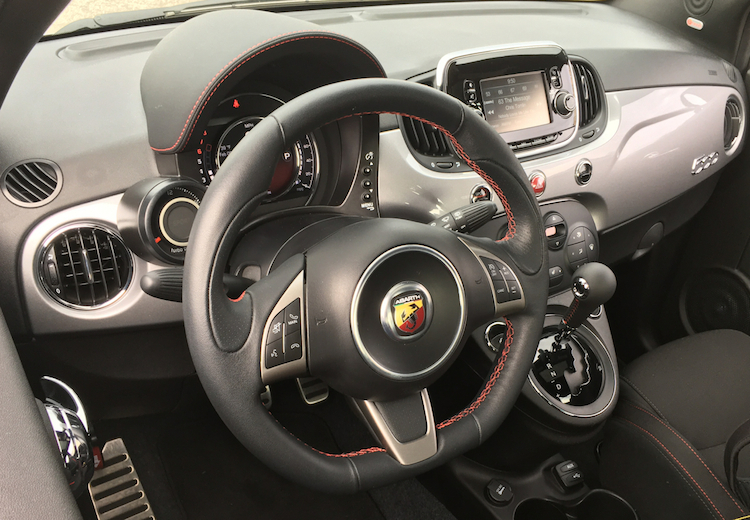 Despite not having a manual transmission, our test Abarth did not disappoint. That said, there are some people who insist on a manual gearbox and Fiat eagerly complies by furnishing a standard five-speed transmission that enhances the fun-to-drive-factor as desired. Quick shifts and smooth clutch uptake are two hallmarks of this system. The difference between the two transmissions isn’t big, which means if you elect for the automatic, you’ll still enjoy everything else this hot hatch has to offer. 4. A turning radius to love. Fiat says the turning diameter of the 500 is 37.6 feet. No, the turning radius isn’t as tight as the Smart ForTwo, but at least you don’t have to settle for half the car in the Fiat. It is a joy to drive the 500 and discover how easy it is to turn around, often without conducting three-point turns or backing up when you still have room to maneuver. I found myself quickly getting out of a traffic jam by swinging the wheels left and heading in the other direction to avoid that mess that lied ahead. 5. A convertible is a lovely option. Some say the standard body style is a coupe, but it is a hatchback. Yes, it looks like a coupe, but there is a third door which is affixed to the rear. The liftgate swings high and out of the way, revealing up to 9.5 cubic feet of standard storage space. The rear seat drops too, expanding that space enough to accommodate all your groceries. Another option to the hatchback is the convertible. Yes, you’ll still find what Fiat calls a “Cabrio” model, which delivers a drop-top driving experience that’s sure to please on a sunny spring day. One thing to keep in mind here: rearward visibility is restricted somewhat by the bunched up roof behind the rear seat. Also, when the top is dropped, storage space measures just 5.4 cubic feet. That’s barely large enough to hold a day bag or parcel. 6. Sporting treatments that inspire. 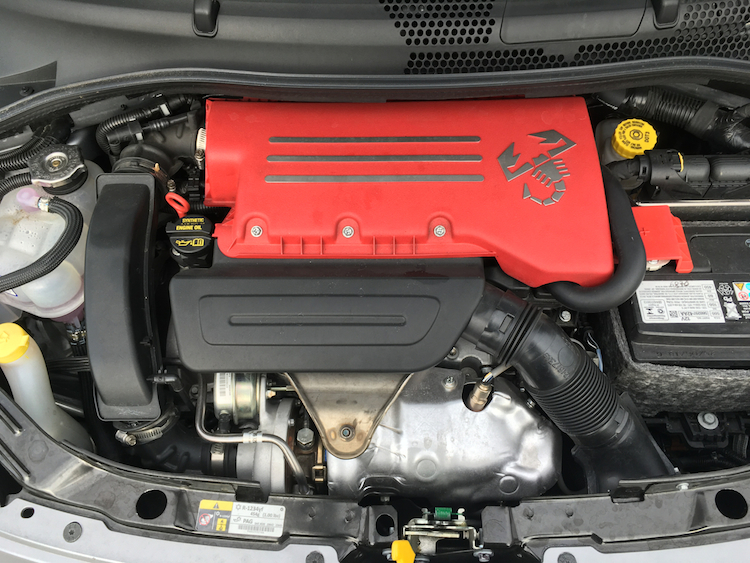 The 500 Abarth has the performance edge, but it also has the look to go with it. 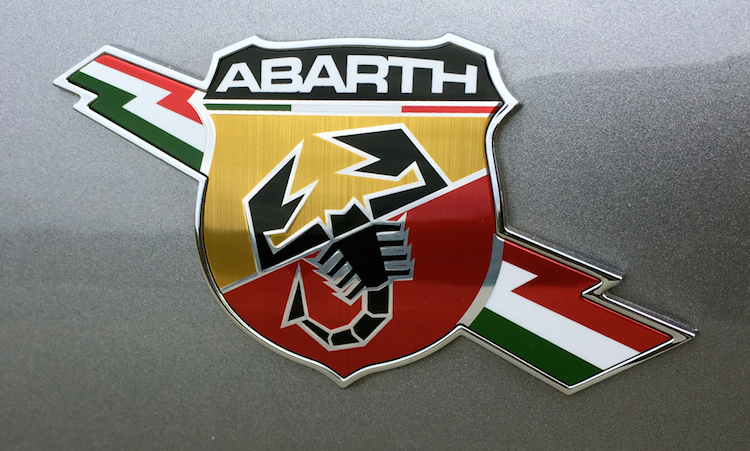 The most obvious difference is the “Abarth” badging and trim on the body, including the scorpion insignia centered on the grille, behind doors, and fixed to the rear. The Abarth paint scheme along the profile features a track-like design that spans from wheel to wheel. Lower grille trim, rocker panel embellishments, and dual exhaust ports are also present. Finally, the sporty wheel choices offers their own take on flair and distinction. 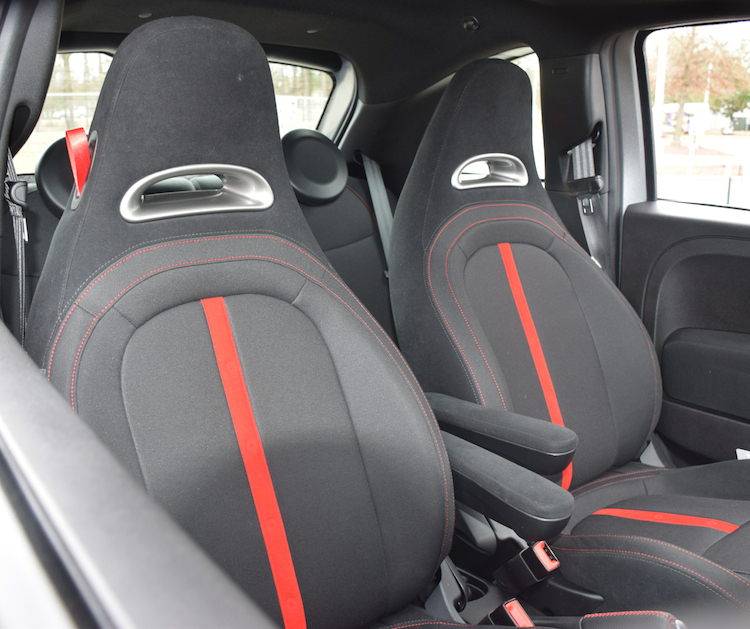 Step inside and you’ll find additional Abarth treatments, including red accents. You’ll find a few different fabrics with the Cabrio. 7. The interior is quite small. On paper, the Fiat 500 seats four. 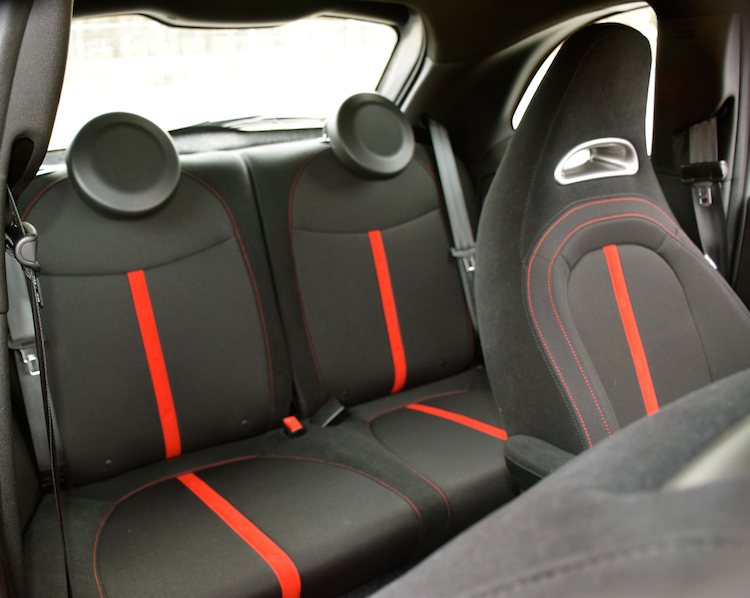 In reality, the rear seats are essentially unusable for anyone who isn’t a toddler or a baby. That said, this model is best viewed as a two-seater with extra room in the back. But it isn’t a model for everyone — my near 6-foot-frame found a place inside, but if you’re just a few inches taller, the 500 isn’t right for you. If you take a long trip with the 500, the thin seats can become wearisome, to the tune of what some 1980s compacts offered. Around town, the 500 is ideal — you’ll fit into tight parking spaces avoided or abandoned by others. On the road, the sweet note of the Abarth’s exhaust may not be enough to keep you hooked. But a lot depends on your personal comfort needs and expectations, so don’t neglect extensive highway miles when offered a test drive. 8. Affordability fades as you move up the trim range. How much should you pay for a new car, including one of the 500’s caliber? For 2019, the 500 comes in three trims: Pop, Lounge, and Abarth. The previous special 1957 Edition is no longer offered. 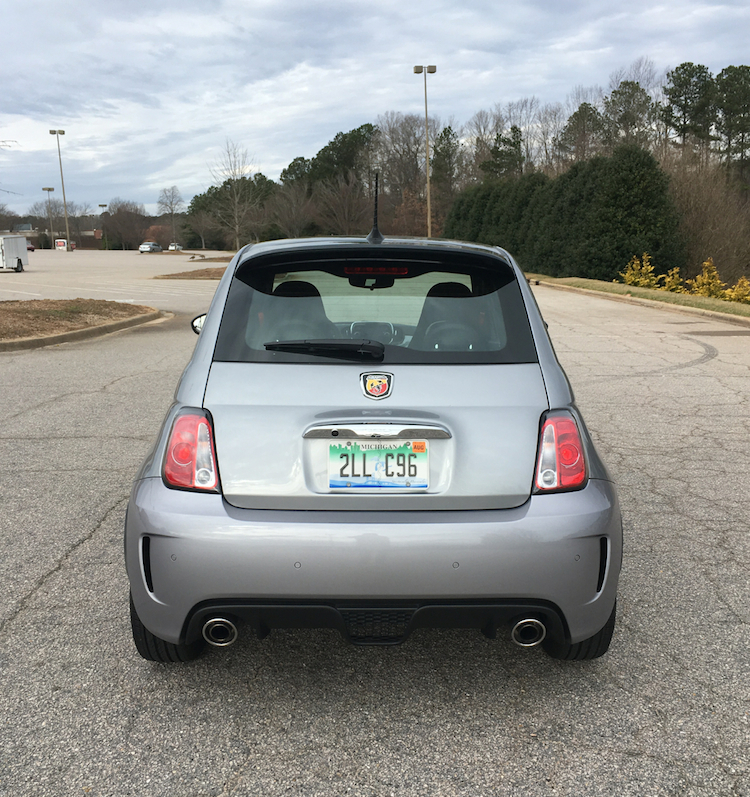 Speaking of the 2019s, my test model was a 2018 500 Abarth. Fiat is still clearing inventories and will likely release the 2019s this spring. You can find the 2018 Pop ($16,245), Lounge ($19,745), and Abarth ($20,495) trims. Add $1,245 for the destination fee and $995 for the automatic transmission. Based on our preliminary information, the 2019s will retail from $17,490 to $23,235, reflecting an upgrade in standard equipment and the turbo engine (add about $1,500 for the convertible). Fully loaded, you’ll pay about $26,000 for the 2019 500 Abarth hatchback, which is a fairly high price point for this small people mover. 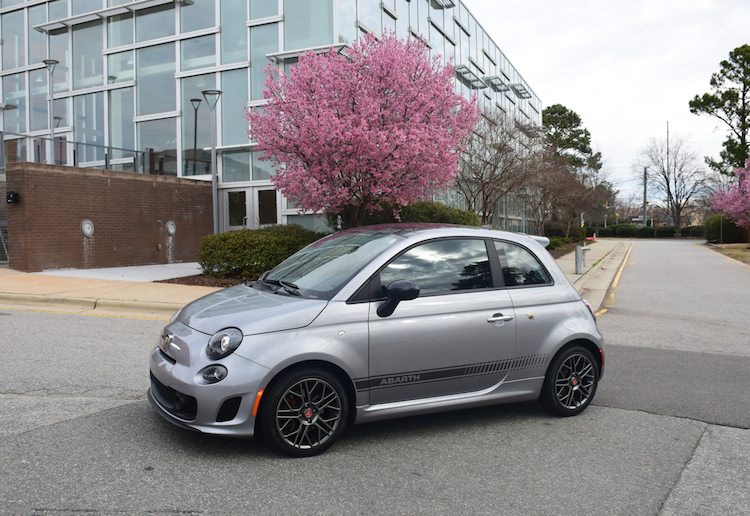 If you’re looking at the “500” it is hard *not* to have the Abarth on your shopping list. In fact, if you’re looking at something economical but you still want performance touches, then you’ve found the model you want in the 500 Abarth. We think the discounting on the 2018s is something worth exploring. Although that information isn’t as readily published as some brands (such as Kia and Hyundai), your dealer can provide that information.